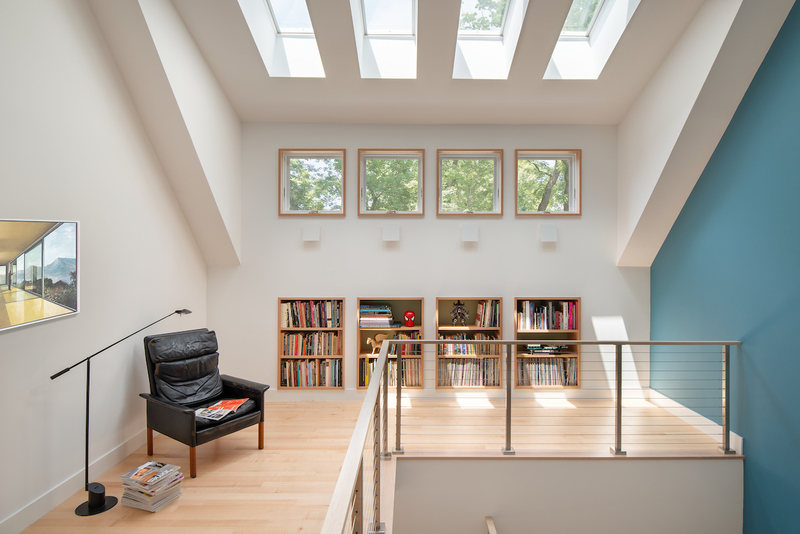 This renovation and addition to a 1920’s era brick Cape Cod involved the addition of a second floor, and a thorough-going renovation to the first floor. 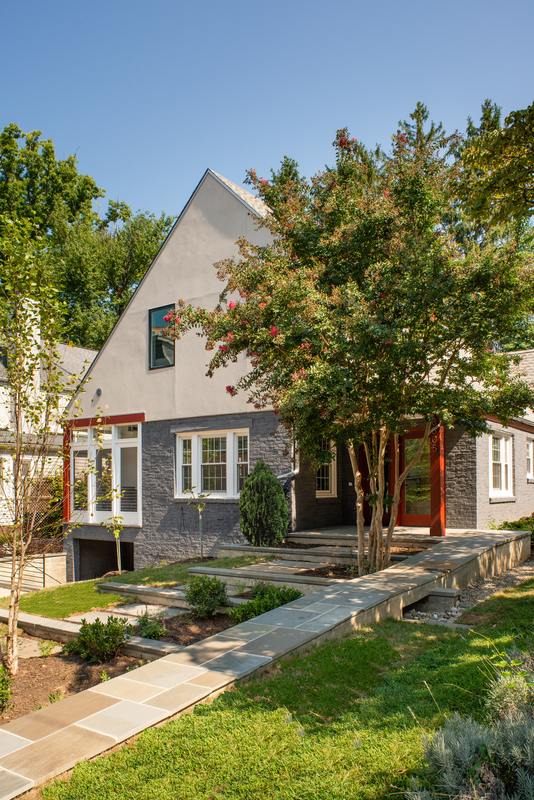 A landscape and hardscape plan rounded out the remaking of this home. 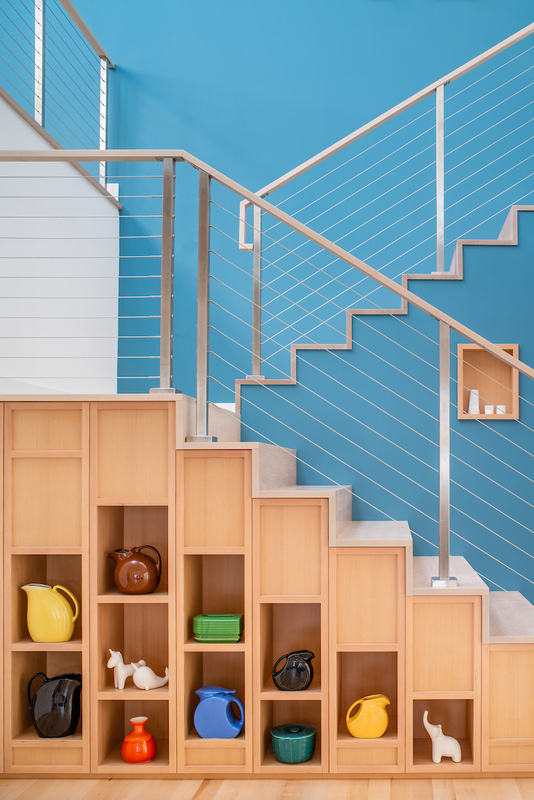 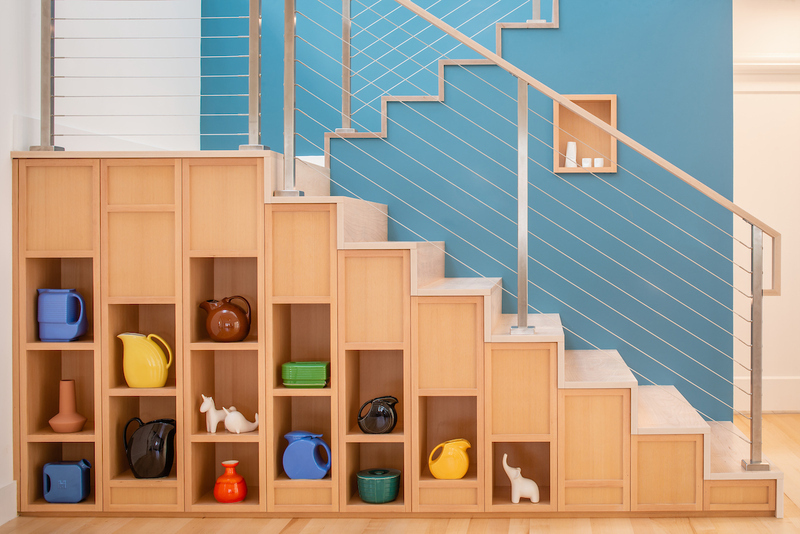 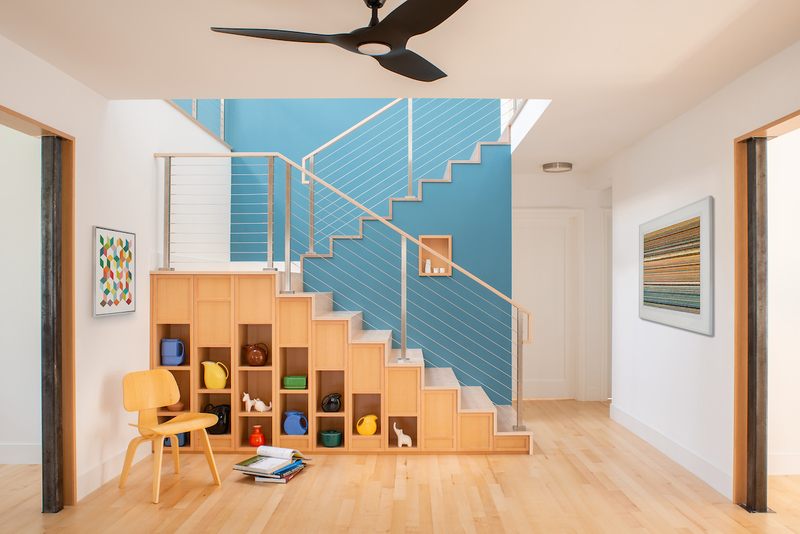 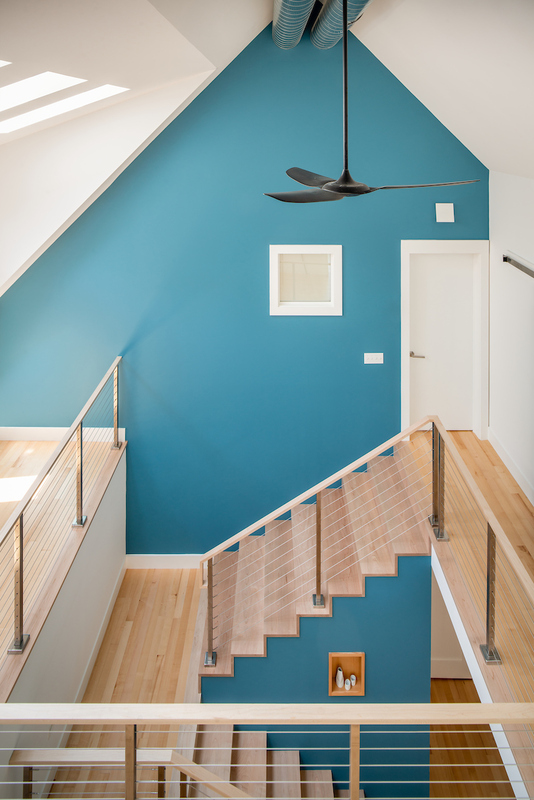 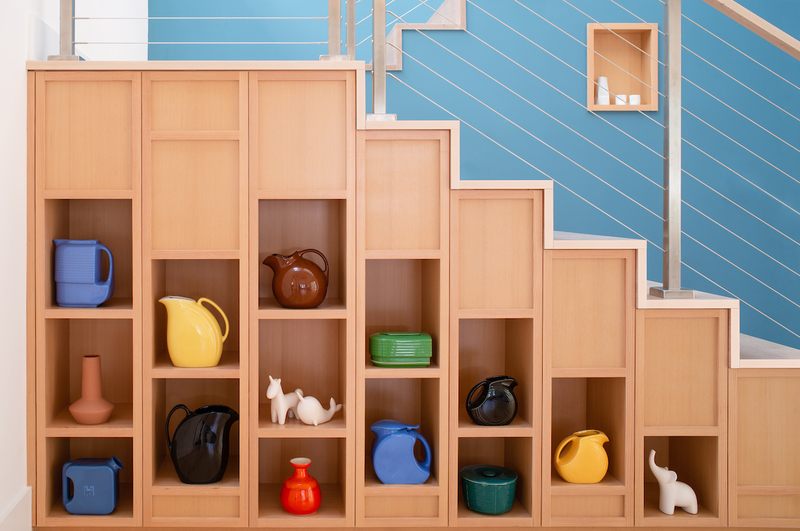 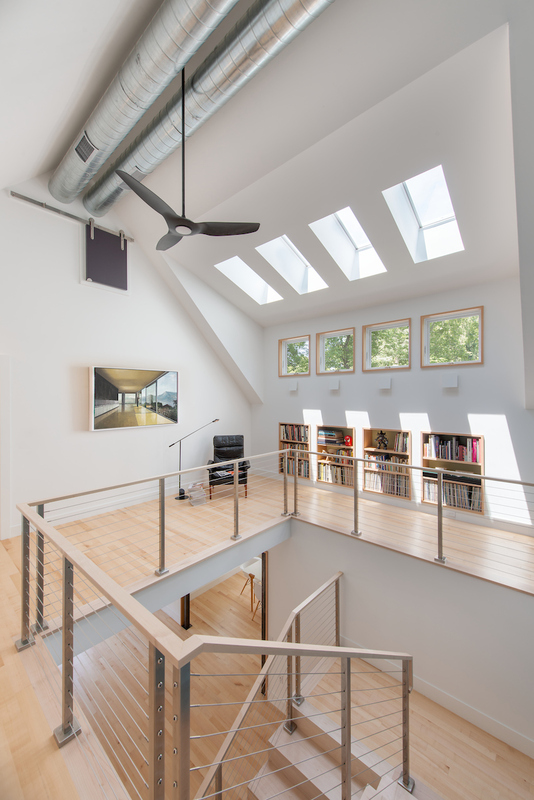 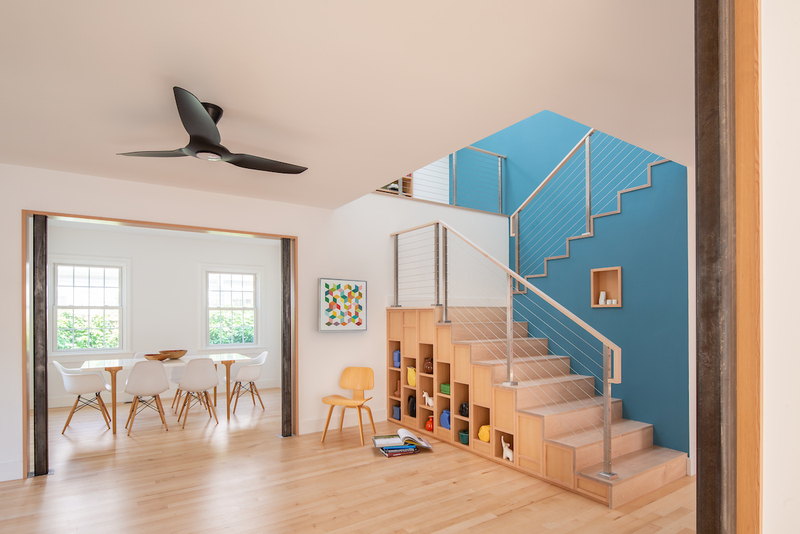 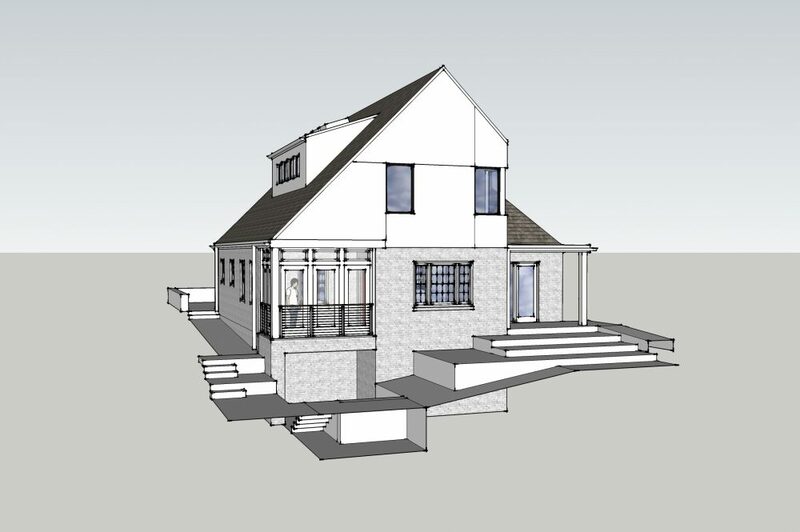 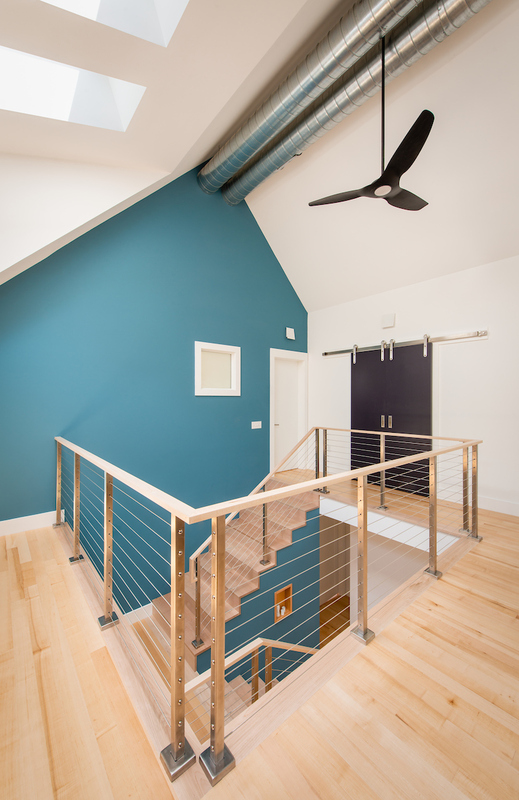 A central stair core for this ” sustainable saltbox ” was designed, around which the spaces of the house revolve. 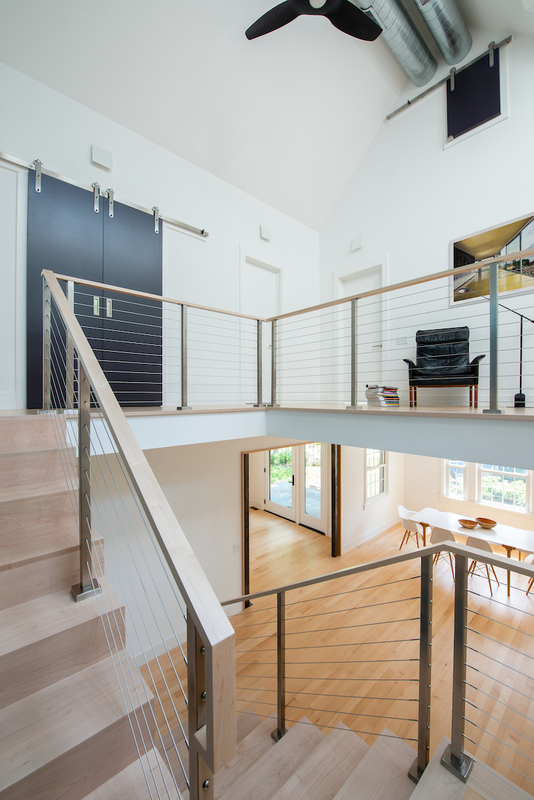 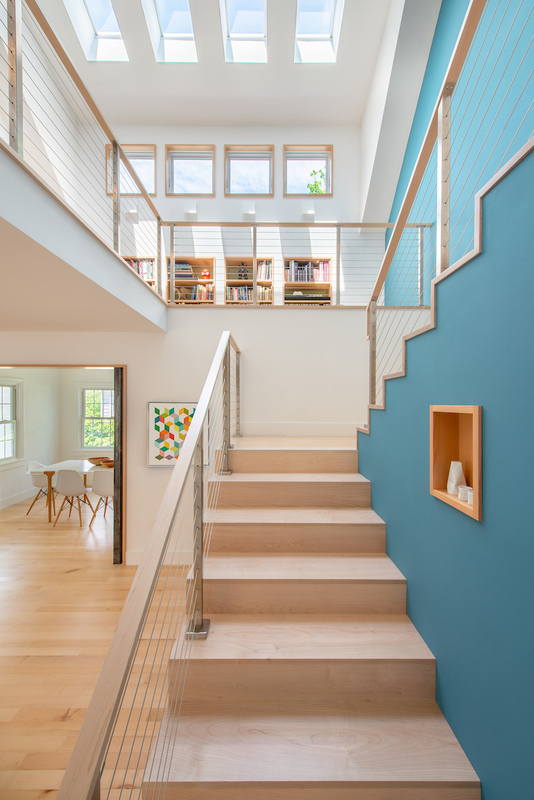 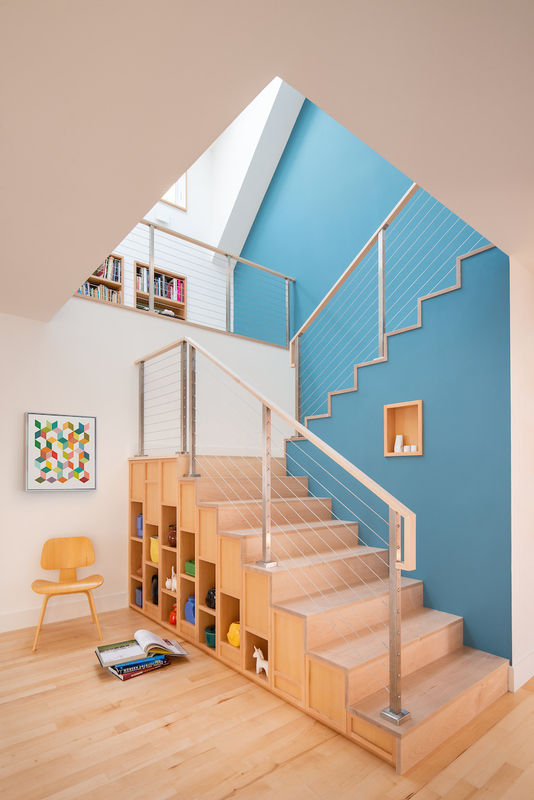 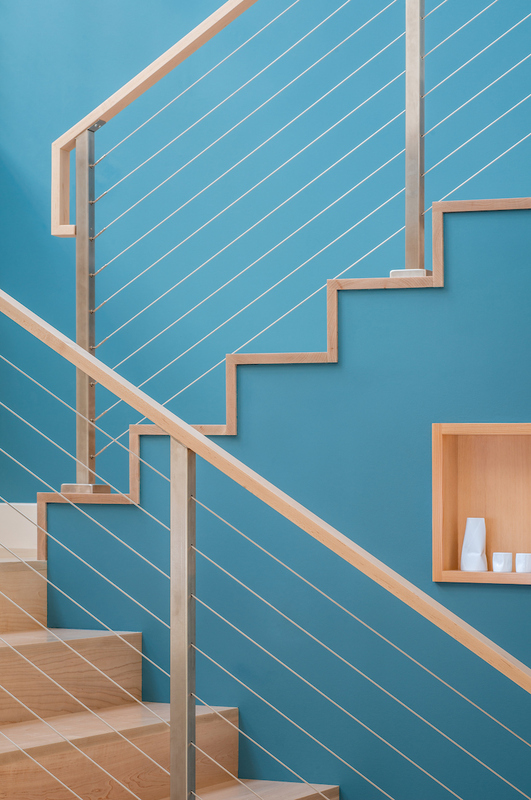 The heart of this home is the stair space, with places to hang out, see and be seen, and through which light is brought into the home and reflected throughout. 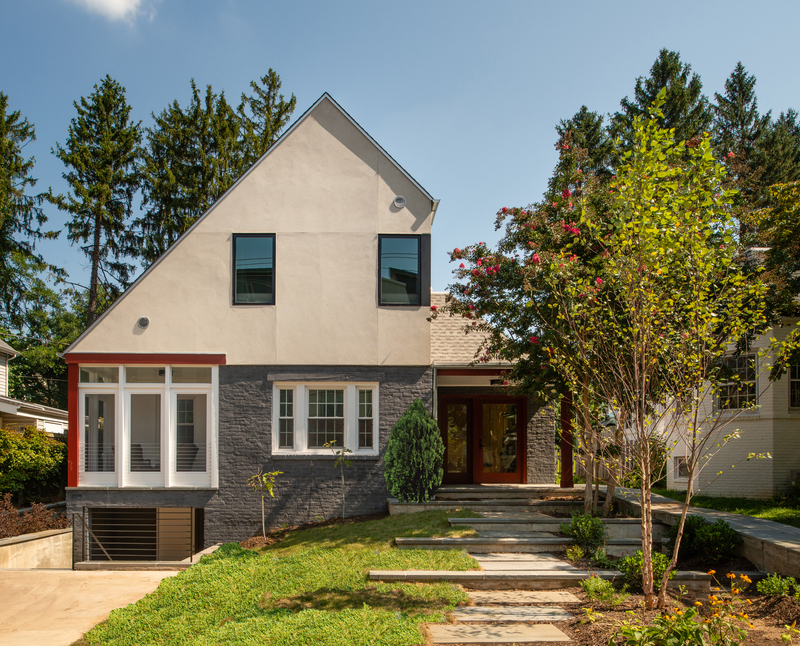 A new terraced landscape addressed issues of drainage, accessibility, a sense of place, repose, and view. 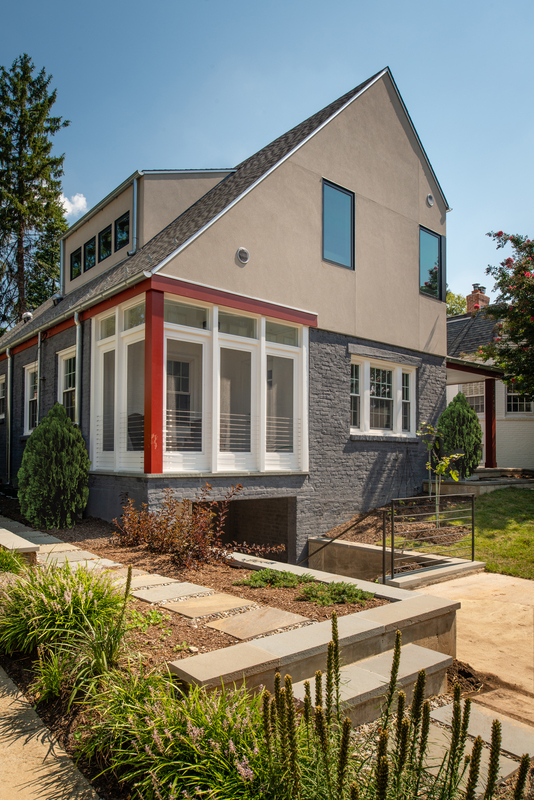 A new accessible path from street to garden through the house makes this path friendly to those in wheelchairs. 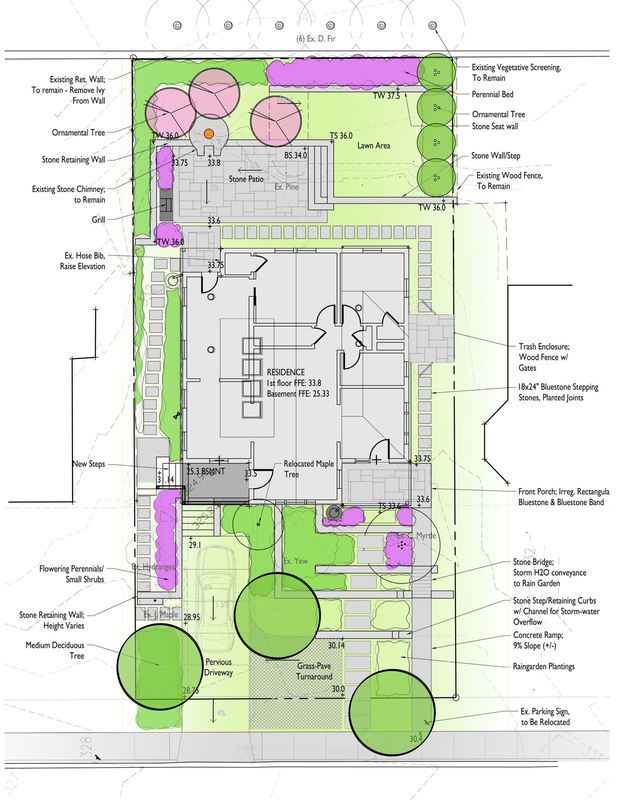 Sustainable site strategies include water catchment in rain barrels and stormwater diverted to raingardens. 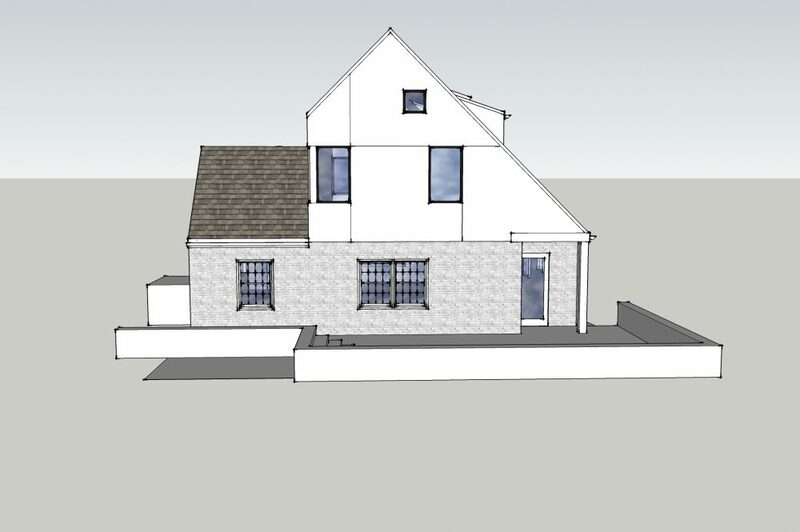 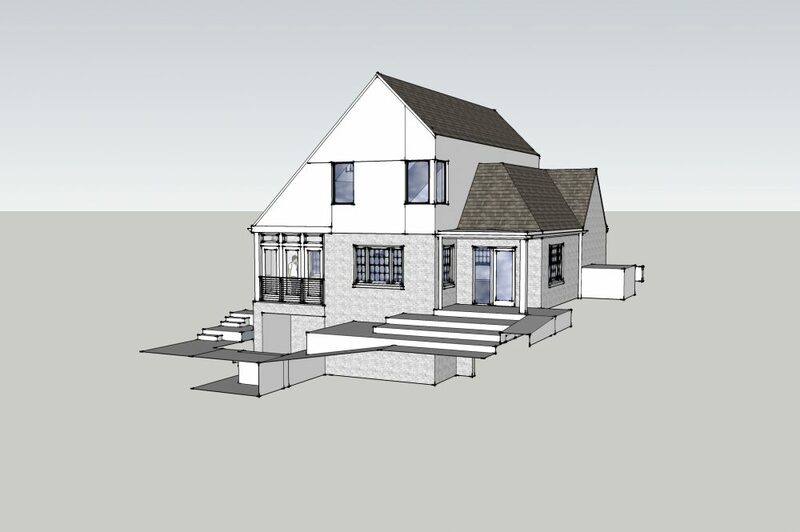 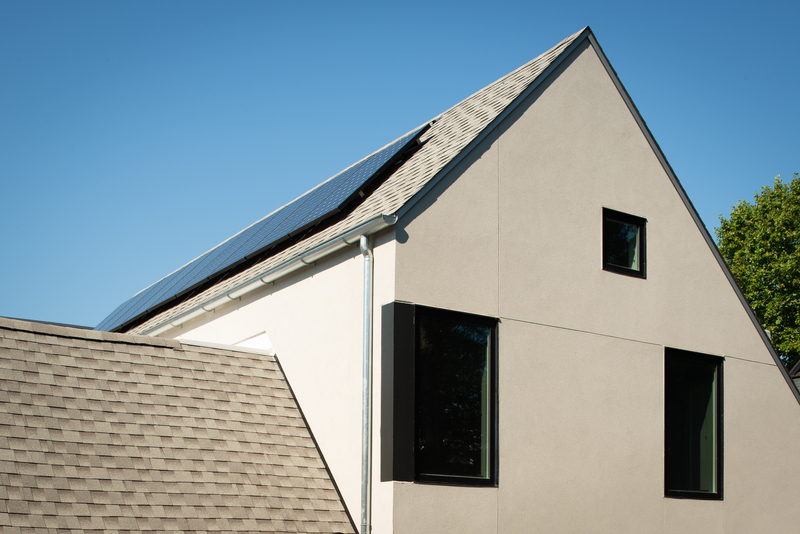 The house includes a 4kw photovoltaic array, all LED lighting, an ERV, a 95% efficient combination tankless boiler and domestic hot water heater with modulating – condensing burner technology and two ultra-high efficiency air cooled condensers and matching indoor air handlers. 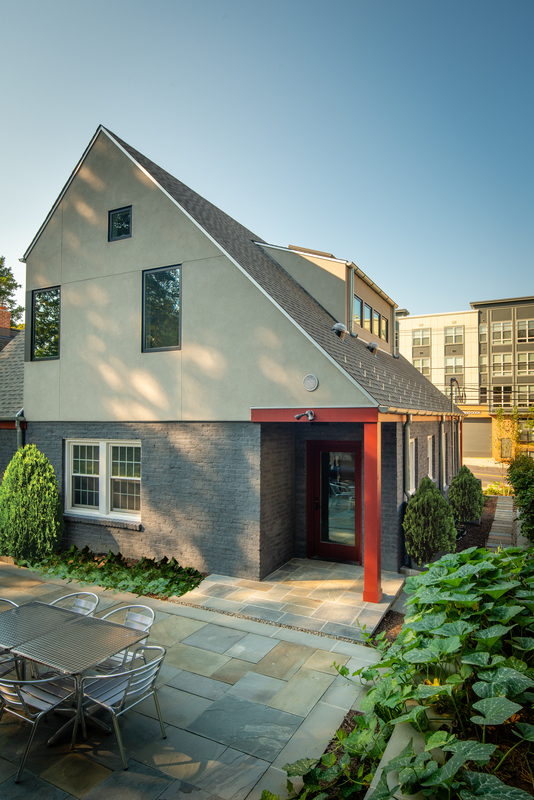 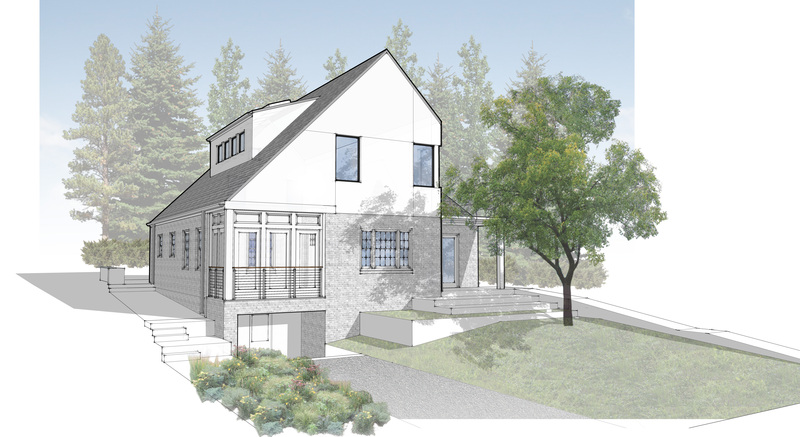 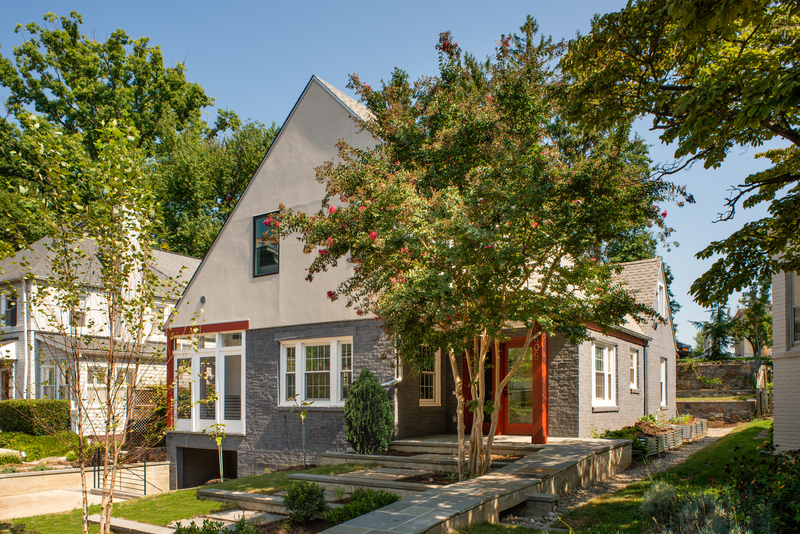 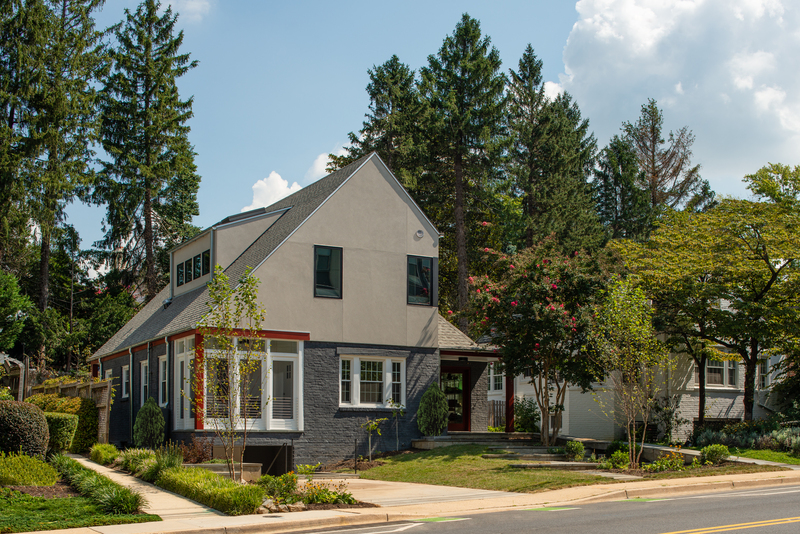 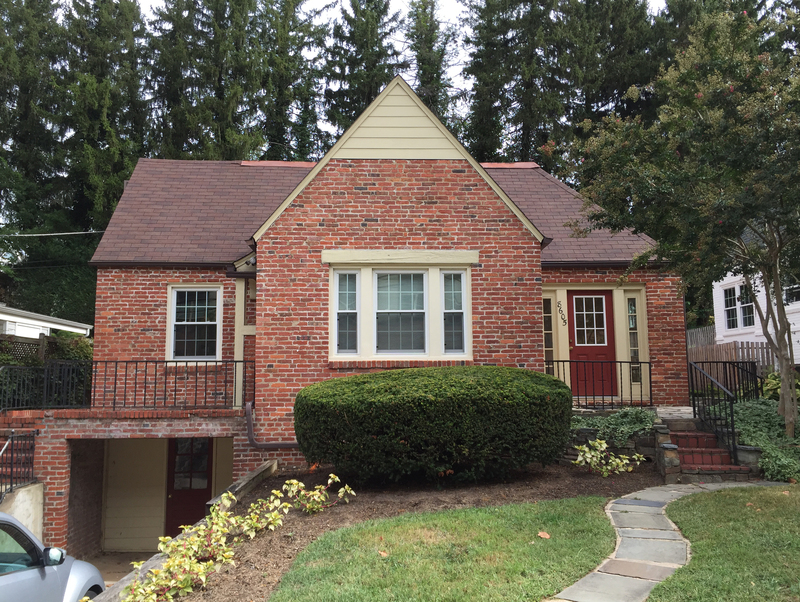 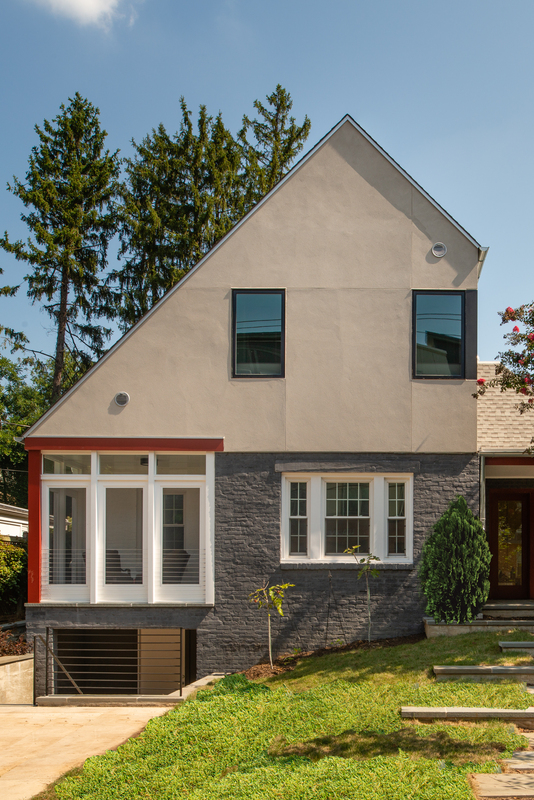 The masonry envelope of the existing portions of the home were finished in lime-based paint, and the addition was a high-performing assembly, clad in stucco. 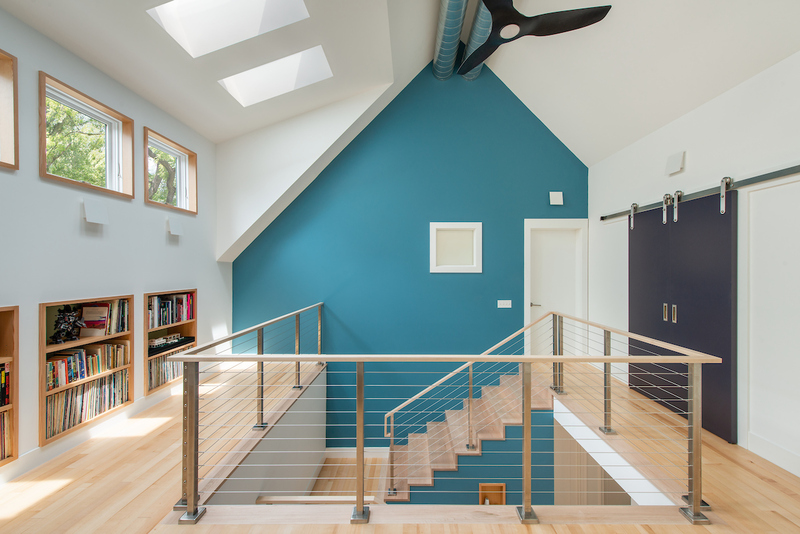 After blower door testing, the whole home building envelope performed at the level demanded of a new home by the 2015 IECC.